A&E Network’s newest original series, “Wahlburgers,” gives a behind-the-scenes look into one of Boston’s most well-known families, the Wahlbergs. Brothers Mark and Donnie head back to their hometown to join forces with their professed ‘most talented sibling,’ Paul, in their tasty business venture. An homage to their humble beginnings, the hamburger restaurant is home base for the gang from the old neighborhood, including the real Johnny “Drama” and of course their spirited mother Alma. “Wahlburgers” premieres January 22 at 10:30 PM ET/PT on A&E. The youngest of nine siblings, Mark and Donnie are no strangers to being in the spotlight. Now it’s older brother Pauls turn to shine as he takes on the challenges of running a burger joint that touts the family name. Even with his brothers’ full support, this proves no easy task as he gets caught up in a whirlwind of bustling kitchens, an impending expansion and everything in between. The chef and restaurateur is careful to capture the flavor of their Dorchester home in every aspect of the restaurant. At the heart of the family, and the chaos, is the matriarch of the Wahlberg clan, Alma. The mother who has seen it all is still the apple of her sons’ eyes. The battle to be her favorite is constant among the men who don’t make any big decisions without their mother’s backing. She isn’t afraid to step in and speak her mind and when she does, everyone listens. Never far from the action is Mark and Donnie’s original entourage, Johnny “Drama” Alves and Henry “Nacho” Laun. These childhood pals are not reluctant to take advantage of old friendships, especially when it comes to a free burger. Also from the old neighborhood is Marks childhood friend, and former partner-in-crime, Billy Leonard, who is by his side when hes in town and keeps him up-to-date when he’s not. In the city that witnessed the family’s rags-to-riches story become a reality, all eyes are on the Wahlbergs who are determined to make the restaurant a success in Boston and beyond. Now they just have to agree on a second location. “Wahlburgers” is produced for A&E Networks by 44 Blue Productions, in association with Closest to the Hole Productions, Leverage Entertainment and Donnie D Productions. 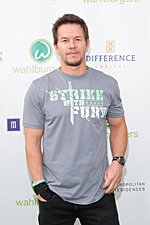 Mark Wahlberg, Stephen Levinson and Donnie Wahlberg are Executive Producers. Executive Producers for 44 Blue Productions are Rasha Drachkovitch and Jym Buss. Executive Producers for A&E are Lily Neumeyer and Devon Graham.